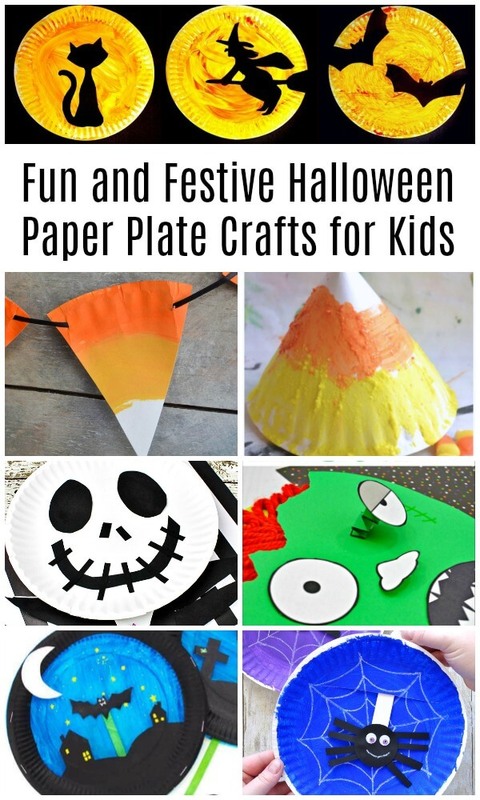 These Halloween paper plate crafts for kids are fun to make, easy to set up, and just too cute! Grab your craft supplies and let’s get started. Paper plates are a crafting staple in most houses with kids. Leftover from parties or Bar-B-Ques, they are easily cut, painted, and manipulated by little hands. 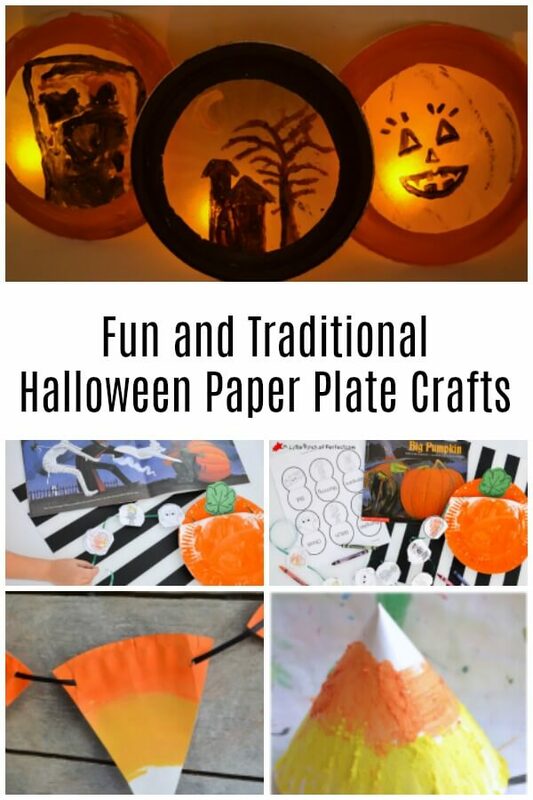 These Halloween paper plate crafts are going to be just the things to decorate your home and get everyone into the holiday spirit. Let’s get started! 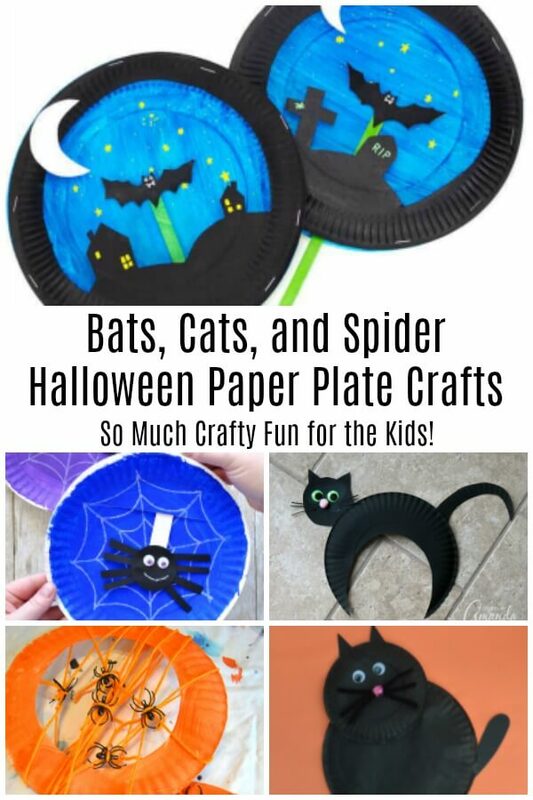 Paper Plate Cats, Bats, and Spiders, Oh my! Paper Plate Black Cat – The Resourceful Mama – Paper plates, paint, and pipe cleaners – not sure there could be a better preschool craft than this one, friends. Paper Plate Black Cat – Crafts by Amanda – This is a fun Halloween paper plate craft your kid might or might not come home with from preschool. It’s a classic and is just so much fun to make and decorate with. Paper Plate Bat Puppet – Kids Craft Room – We love this craft and have shared it (and made it) before. It’s a fun Halloween puppet craft for kids. They can’t get enough of it! Spider Web Wreaths – Creative Family Fun – When your little one brings home those plastic spider rings, here is what you need to do with them. So creative! Spider Web Craft – I Heart Crafty Things – Another fun and interactive spider craft using a paper plate and a craft stick. Genius! 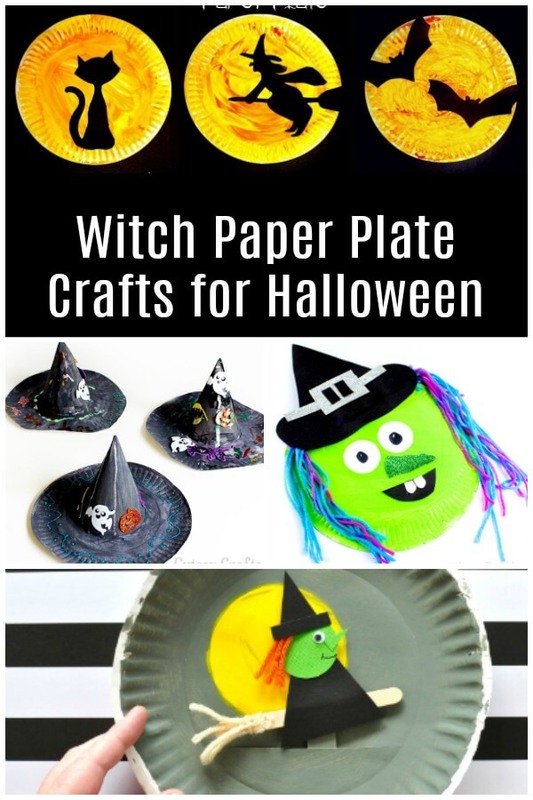 Paper Plate Witch – Arty Crafty Kids – Get out the neon green paint you haven’t used in years – this Halloween paper plate craft will use it right up. Paper Plate Witch Hat – Cutesy Crafts – This is another craft we’ve made here in the Ruffles and Rain Boots house and it was a crowd pleaser. The kids decorated their hats with TONS of colorful, sparkly Halloween stickers. Flying Witch Paper Plate Craft – I Heart Crafty Things – There isn’t a child who doesn’t love puppets and this flying witch is a great Halloween paper plate craft. Halloween Paper Plate Silhouette Craft – The Pinterested Parent – If you need an, “I really need to make dinner” craft, this is it. It’s easy and the fun is in the single-color painting. 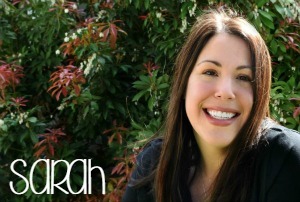 Paper Plate Vampire – Artsy Momma – A cute vampire? Oh yes, friends – this one will have you saying, “Awww” in no time. Paper Plate Ghost – Crafts by Amanda – The face ideas are endless for this ghost cutie. My daughter made one when she was in preschool and it hung on her door for months! Zombie Paper Plate Craft – Mess For Less – This one might be for the older kids. My daughter laughed hysterically at this (she’s 6), so I think that means we’re going to make it this afternoon. Mummy Craft – Activities For Kids – Another quick craft to set up for the kids, this paper plate mummy craft makes an adorable door hanger. Paper Plate Frankenstein – Glued to My Crafts – Who says Frankenstein needs to be scary? 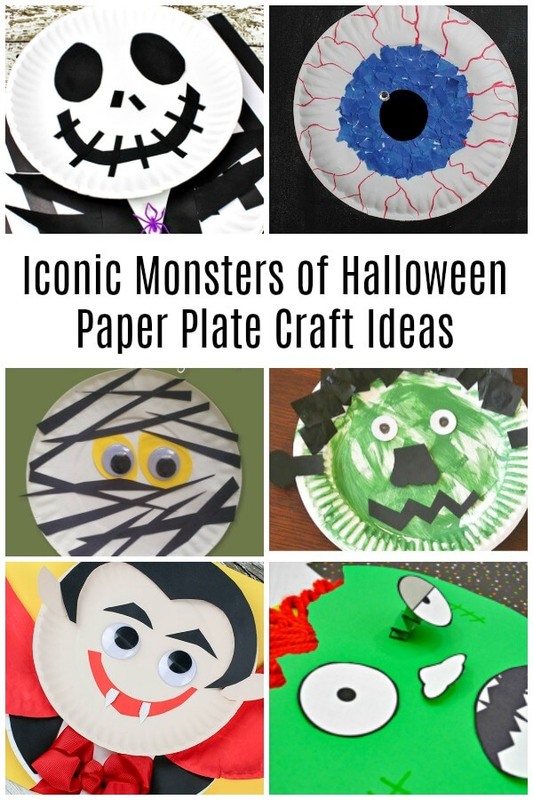 You could set up this cute Halloween paper plate craft while the Frankenstein cupcakes are baking. Paper Plate Candy Corn Bunting – Typically Simple – I am firmly on team, “Candy corn takes like plastic,” so this is the holiday fun I’d like to have with the iconic treat. Jack Skellington Craft – Comic Con Family – This movie is one of our all-time favorites for both Halloween and Christmas, so this simple craft is definitely getting made this year! Big Pumpkin Halloween Paper Plate Craft – A Little Pinch of Perfect – Book fun AND a cool Halloween paper plate craft? Count us in! Candy Corn Paper Sculpture – Creative Family Fun – I really like this craft because it’s 3-dimensional. And hey, it’s a candy corn! Paper Plate Halloween Lunimaries – A Little Pinch of Perfect – These luminaries are so adorable and the kids think they’re so special when they get to go to sleep with them on. Thanks so much for featuring my 4th of July Food Favorites! Appreciate it!